9x12, oil on linen. $2300; Available. 14x18, oil on linen. $3700; Available. 22x28, oil on linen. $7100; Available. 11x14, oil on linen. $2800; Available. 20x24, oil on linen. $5900; Available. 10x12, oil on linen. Sold. 14x18, oil on linen. Sold. 16x32, oil on linen. $5900; Sold. 30x36, oil on linen. $11,000. Permanent collection University of California-Irvine Museum. 16x20, oil on linen. Sold. This was a public demonstration piece for Scottsdale Artists School. 30x36, oil on linen. $11,100; Available. 24x30, oil on linen. $8000; Available. 24x32, oil on linen. $8500; Available. 12x16, oil on linen. $2600; Available. 20x24, oil on linen. $4900; Available. 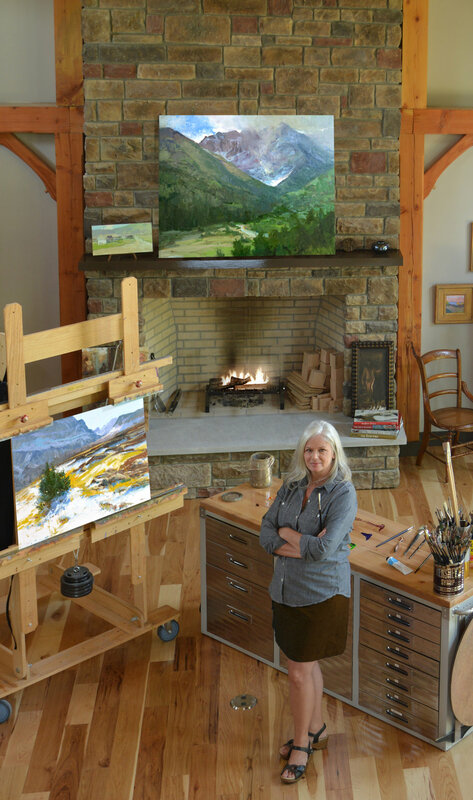 American Impressionist Society, Plein Air Magazine Award of Excellence. Art Muse Contest, Master Class Finalist, 2016. 9x12, oil on linen. $1900; Available. 18x24, oil on linen. $4500; Available. 18x24, oil on linen. Award of Merit, American Impressionist Society 2018, SOLD. 12x16, oil on ABS. $2600; Available. Portrait Society of America, Members Only Competition, Finalist. 8x10, oil on linen. $2000; Available. 30x40, oil on linen. $10,200; Available. Portrait Society of America, Members Only Show, 4th Place Landscape. Click here to read more about this painting. 16x20, oil on linen. $3600; Available. 6x9, oil on linen. $1100; Sold. 20x24, oil on linen. $2300. Sold. 18x24, oil on linen. $4500; Sold. Click here to read more about this painting. 28x36, oil on linen. $8800; Sold. 24x18, oil on linen. $4500; Sold. 18x24, oil on linen. $3500; Sold. 6x8, oil on linen. $1100; Available. Jan. 2016, 3rd Place FASO, Eric Bowman, Judge. 18x24, oil on linen. $4900; Sold. American Impressionist Society, 3rd Place. Oil Painters of America, 2nd Place. Plein Air Salon, Best Buildings, Dec/Jan -2014/2015. 11x14, oil on linen. $2300; Available.